isn't taking kindly to being called "tone-deaf" over his decision to book and on the same UFC fight card ... saying, "I could give a sh*t."
Both Hardy and Ostovich are fighting at the big UFC on ESPN event on Saturday night -- which drew heavy criticism from ESPN's main MMA reporter, Ariel Helwani, who sounded off Wednesday. "I found this decision to be incredibly tone-deaf, to put it mildly," Helwani said on ESPN. FYI, Hardy was found guilty of by a judge in 2014 -- but the conviction in 2015 when he appealed to have the case go in front of a jury ... and his accuser stopped cooperating with prosecutors. Ostovich in an alleged domestic violence incident back in November. She claims her husband (who's also an MMA fighter) snapped and beat her ruthlessly. 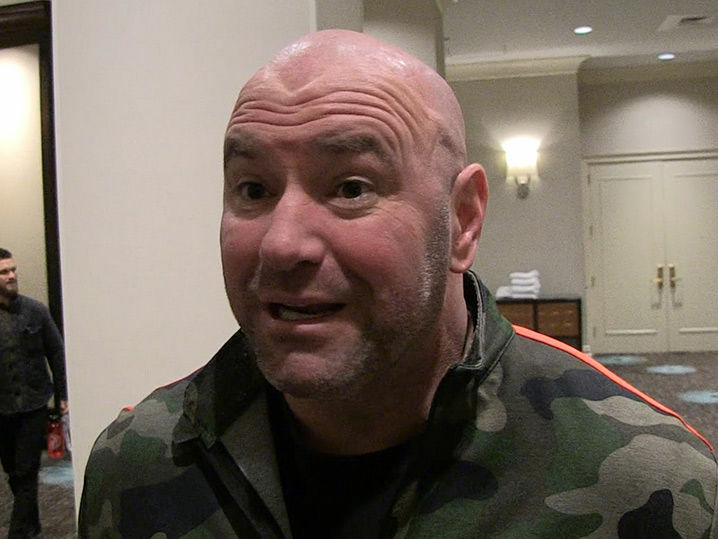 Helwani and others have expressed concern over having them fight on the same card -- so, when we saw White in NYC on Thursday morning, we asked for his thoughts.
. calls the UFC "tone-deaf" for booking Greg Hardy on the same card as Rachel Ostovich. "I don't give a sh*t what Ariel Helwani thinks," White said ... "Who the f*ck is Ariel Helwani to question anything that we do." "I think we've done a pretty good job in 20 years. I could give a sh*t what he thinks, or anybody else for that matter." So, why are they on the same card? White says they're both and it was bound to happen at some point. White has previously said he spoke with Ostovich about booking Hardy on the card and claimed she was cool with it.